When you are browsing the Internet, you often come across pages which display a form where you are asked for personal details. These forms can be a means of contact, to ask you to register to receive information, to access Members' Areas, or simply for surveys or market research. 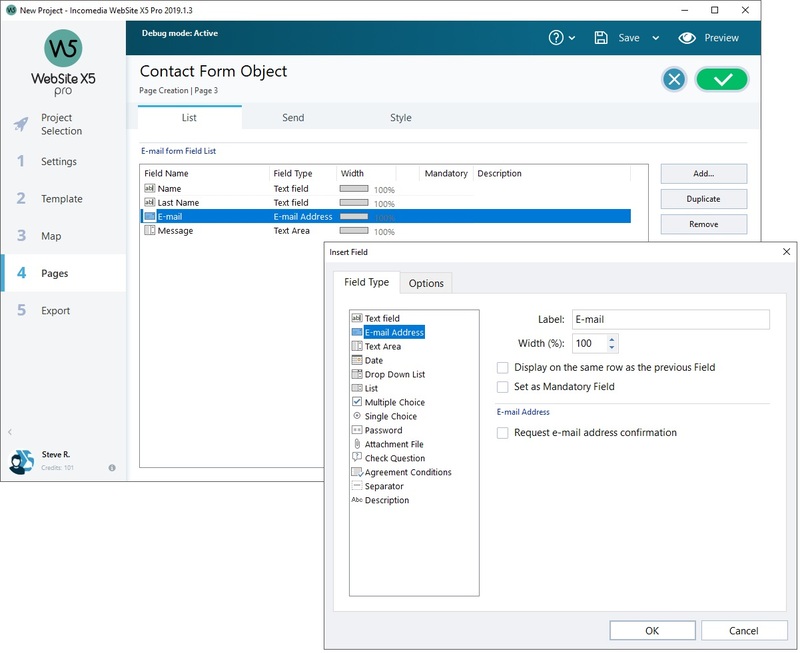 Whatever the purpose, with WebSite X5 you can create a contact form very easily. You can specify the fields you want in it, decide on the page layout and graphic appearance and, most importantly, stipulate how submitted data is to be collected and who receives it. 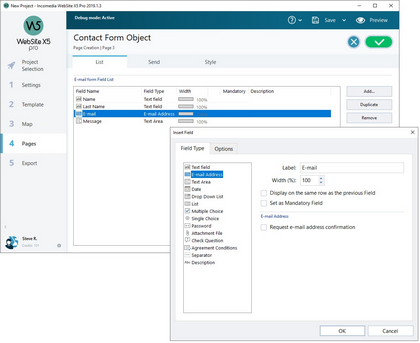 The Contact Form feature will function correctly if the Server on which the website is published supports the .PHP programming language and if the MAIL command is active. You can obtain this information on your Server diagnostics through the Website Test section of the Control Panel. If problems occur when sending e-mails, it is possible that the Server you are using does not have a standard configuration. Try changing the script settings and those for sending e-mails, using the options in Website Settings | Advanced | Data Management. For further information, contact your webspace provider.